What to do if You Suffer Whiplash from an Accident? The medical term for what is commonly known as "whiplash" is called a "cervical strain". The cervical part of your body is your neck and strain basically means that the muscles and/or tendons have been injured. Sometimes these injuries are so severe that the muscles and tendons will actually tear. However, this tearing will not show up on an x-ray or physical examination performed by a medical provider. Sometimes whiplash injuries to the neck can have long-term and devastating effects. They can cause a permanent loss in the range of motion in the neck which will limit how far you can turn your neck to the sides and up and down, they can cause debilitating neck pain and stiffness which can lead to headaches and in some severe cases, loss of use of your hands, arms and legs. Whiplash injuries may seem minor at first but can result in a lifetime full of medical problems. Whiplash injuries can occur in several different ways including car accidents, work injuries, falls and other personal injury accidents. A percentage of whiplash injuries will heal within a few weeks or months following an accident, but it is very important that you seek medical care immediately. 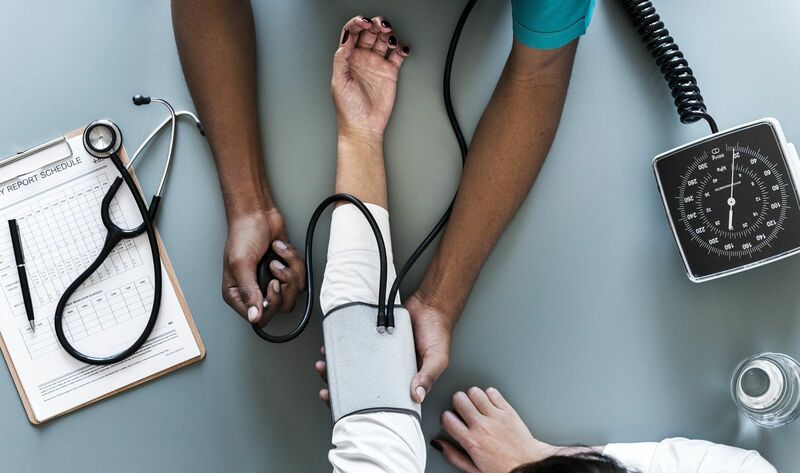 Failing to seek medical care will not only result in your condition not being properly treated but can also have a negative impact on a personal injury claim that you may bring later on. If you wait days or weeks before seeking medical care and attention after an accident, the value of your claim can go down because you waited. Therefore, it is always best to be treated right away following an injury from an accident. Treatment for whiplash injuries can include physical therapy, chiropractic care, prescription and over the counter medications, injections, radiofrequency denervations or ablations, facet blocks, nerve blocks, ice, heat, stretching, massage, etc. Our experience is that the quicker that you are treated for whiplash, the better off you will be and the chances of you having a permanent injury are decreased. Along the same lines, if you are treating for whiplash it is important that you attend your medical appointments as scheduled. If you "no-show" or miss appointments this will not only increase your healing time but once again will make you look bad. If you do have to change an appointment, you should try to call the day before or at least a few hours before in order to reschedule. Another issue is what is called gaps in treatment. If you go to your doctor who prescribes physical therapy, but you don't start physical therapy to treat your whiplash for several weeks, then this can damage your case. The insurance adjuster, judge or eventually a jury may think if he/she was hurting so bad why did they take so long before starting therapy? This same issue also applies to situations where your medical provider says I don't have anything else to offer you for your whiplash injury. If you are still having problems and issues at that time the doctor releases you, then you should seek additional medical care. This can be a referral to pain management, a psychiatrist, a chiropractor, more physical therapy, etc. However, keep in mind that there are some doctors who will not be able to treat your whiplash and may say there is "no objective" evidence of injury and will basically accuse you of faking your injury. This is why it is important to talk to a qualified personal injury attorney before just going to any doctor for your whiplash condition. An experienced injury attorney can help guide you away from some doctors (often time neurologists will have nothing to offer you, but may cause severe damage to your case) and towards other doctors who they have seen firsthand provide help to their clients. Often times your family doctor will not think of or know about specialists such as physiatrists (also known as physical medicine and rehabilitation doctors) whose job is to treat and deal with chronic pain sometimes caused by whiplash injuries. Even within specialists who treat whiplash injuries, there are some doctors who are more likely to say what the insurance company wants them to say instead of the truth about you and your injuries. It is critical not only to your treatment but to your case that you avoid insurance company doctors. We can help you with this in your Iowa injury matter. Who Should I Contact After an Injury? We offer Iowans who have sustained whiplash injuries a detailed book which covers injuries caused by car accidents, work injuries and other personal injury matters. Our book is available to you at no cost or obligation and reveals 8 Common Mistakes Made in Iowa personal injury cases. Our book not only tells you how you can avoid common mistakes but gives you advice when it comes to dealing with your medical providers, seeking medical care, etc. We will also tell you whether or not we think you need an attorney in your case. That is correct. You may not even need an attorney because in some cases frankly, the attorney will take a percentage of what you probably can get on your own. However, if your whiplash injury is serious and does not get better within a few weeks you should consider finding the best personal injury attorney for you and your case. Not all Iowa injury attorneys are the same and it can be difficult for you to distinguish between those with real experience and those who are just advertising that they are experienced. Our book covers what you should look for and how to find the best attorney for you and your personal injury case. If you have questions or concerns about your injury matter feel free to call our office at 641-792-3595 and ask to speak with one of our attorneys. Our attorneys are top rated by Google, Avvo.com and other attorney rating sites. We provide you with a personal injury evaluation at no cost or risk. If one of our attorneys is not immediately available then ask to schedule a phone conference so we have a set time and date to discuss your matter. We have 4 main offices in Central Iowa (Des Moines, Ankeny, Newton, and Marshalltown) and several by appointment only offices throughout the State of Iowa, but if you are not local to us, we will come to you. Who is at Fault in a Sideswipe Car Accident? People have different names for what is commonly called a sideswipe car accident. Generally, a sideswipe means that two or more motor vehicles are traveling in the same direction and one vehicle strikes another one. Often the accidents occur when one vehicle enters the other vehicle's lane or both drivers attempt to merge into the same lane. Often these collisions occur at highway speed on interstates with 2 or more lanes of travel. Sideswipe car accidents can be minor with property damage only or devastating if the impact is severe enough and/or one of the drivers loses control of their vehicle. Losing control of a vehicle at highway speed is a very scary situation. The vehicle can go into the ditch and may even roll. 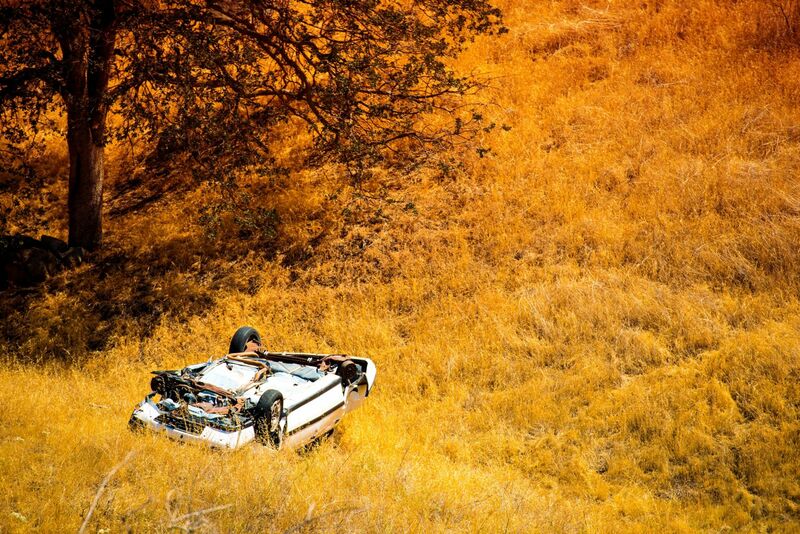 Roll-over car crashes cause more deaths and serious injuries than almost any other type of wreck. Wearing your seat-belt is very important if you are involved in a roll-over because without it your head may strike the roof causing a devastating spinal cord injury or you may be ejected from the vehicle. How can sideswipe car accidents be prevented? 1. We have probably all started to merge into the next lane and suddenly realized that there was another vehicle in the lane. One of the best ways to prevent a sideswipe is to check your mirrors and also look over your shoulder to check your blind spot. 600.14 Overtaking A Vehicle. The driver of a vehicle overtaking another vehicle going in the same direction shall pass to the left at a safe distance, and shall not drive to the right side of the road until safely clear of the overtaken vehicle. A violation of this law is negligence. That is right, you could be found at fault for passing another vehicle on the right even if they sideswipe you. There is an exception to the above law for multi-lane highways such as Interstate 80, but it is still a good idea to always try to pass on the left first. 3. Many newer cars and trucks have lane change warning systems. They use radar systems to detect vehicles that are in your path on either side of you. Most systems give you a warning light on your mirror so you know there is a vehicle next to you. Some vehicles provide you with an audible warning sounds if you turn on your turn signal and move towards the vehicle. This technology has prevented hundreds if not thousands of serious car accident from happening and has probably also saved many lives. Who is at fault in a sideswipe car accident? This is a tricky question that usually will involve eye witness testimony from drivers behind the collision to describe what they saw and heard. Further, under Iowa law, we have what is called comparative fault which basically means the judge or jury will determine the percentage of fault for each driver involved. In order to recover any damages, you have to prove the other driver was at least 50% at fault. Failing to prove this will result in you receiving no compensation. Likewise, if you are found to be 20% at fault then the amount of damages you are able to recover are reduced by your percentage of fault which in this example would be 20%. So if your damages were found to be $10,000, then it would only be ordered that you are owed $8,000. 1. A vehicle shall be driven as nearly as possible entirely within a single lane and shall not be moved from the lane until the driver has seen that the movement can be made with safety. 2. On a road which is divided into three lanes, a vehicle shall be driven in the center lane only when overtaking and passing another vehicle where the road is clearly visible and the center lane is clear of traffic within a safe distance, or in preparation for a left turn, or where the center lane is assigned exclusively to traffic moving in the direction the vehicle is going and is signed accordingly. 3. Official signs may be posted directing slow-moving traffic to use a designated lane, or assigning specific lanes to traffic moving in the same direction. Drivers of vehicles shall obey the directions of the sign. A violation of this law is negligence. So basically a driver shall not drive his/her vehicle into another lane until it is safe to do so. The determination of who was at fault, and what percentage of fault they are, will come back to the testimony of the car drivers and the witnesses who saw the crash. If you or a loved one have been in a sideswipe car accident causing injuries then it is important that you have someone on your side looking out for your best interests. Some people think that their own insurance company will help prove that the other driver is at fault. While your insurance company may make their own determination of fault, they will only pursue the money that they have paid on your own automobile insurance policy. They will not pursue your medical bills, lost wages, loss of quality of life, pain and suffering or other damages you have sustained. We offer Iowans injured in a car accident a no-cost Car Accident Evaluation at 641-792-3595. We will even give you our opinion if you even need an attorney or not and if the case is worth pursuing or not. 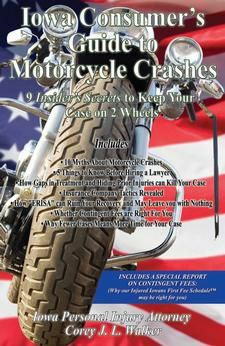 If you prefer not to talk to a car accident attorney now, but want to learn about your rights first then request our book at www.IowaCarCrash.com. 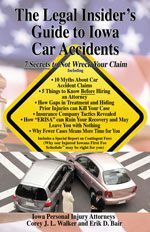 Our book gives you tips about how to find the best Iowa car accident and personal injury attorney for your case, exposes 7 Secretes to Not Wreck Your Iowa Car Accident case and much more. How Are My Lost Wages Paid After a Car Accident? Under Iowa law, if you or a loved one are involved in a car accident causing injuries that require you to be off work, then you will need to use your sick pay, short-term disability, accident and sickness, vacation time, AFLAC or some other form of disability pay. The insurance company for the other driver will not pay your lost wages as you incur them. They will only pay your lost wages as part of a total settlement of your case including medical bills, lost wages, loss of quality of life, pain, and suffering, etc. If you are still off work because of a car accident, it is way too early to be talking settlement with the insurance company. You need to wait and see how your medical treatment goes and if you make a full recovery or not before even considering a settlement offer. It is important that you if you do not know if your employer has any such coverage that you contact the HR (human resources) department. If you do have short-term disability or another coverage that will provide you with benefits while you are not able to work, then you will be required to complete paperwork and your doctor will also have to fill out paperwork showing your disability. It is important that you complete this paperwork in a timely fashion because the longer you wait, the longer it will take before you start receiving checks for your time off work. Also, you may have disability coverage on your mortgage, car or other loans. This can make your payments while you are disabled and not able to work. 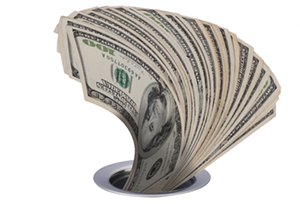 You should check with your bank or lender to find out if you purchased this type of coverage. What if the above doesn't work? If you, unfortunately, do not have any of the above available to you, then you may have to look for help from your family, friends, church, etc. If you were injured in a state that has PIP (personal injury protection) such as Minnesota then you may be able to recover your lost wages immediately under your own car insurance policy for no-fault insurance. For more information about Iowa car accidents, you should request of book that reveals 7 Secrets to Not Wreck Your Claim. Who Should Pay my Medical Bills after my Car Accident in Iowa? This is one of the most common questions we get and there is a lot of misinformation out there so listen up. First of all, the insurance adjuster for the other driver may tell you "send me all your medical bills". Yet, that does not mean they will actually pay your medical bills as you send them. You can try asking the insurance adjuster for something in writing that they will pay your medical bills. Although, chances are that the only way they will pay anything is if you agree to sign a release and close your claim forever. The insurance company would rather have your medical bills pile-up, have you sent to collection, have you start receiving nasty collection calls making threats against you such as garnishing your wages, etc. Why would the insurance company want to do this? Because it puts pressure on you to settle your case for less than fair value. They want you to be so stressed out that you will take whatever they want to pay you so the medical bills will be paid and the collections calls will end. Well, there is some good news, you should not play by the rules set by the insurance company and instead should know the truth. 1. Your health insurance that you have through your employer or that you obtained on your own. 2. Your medical payments under your own automobile insurance policy. Then you could seek assistance from a local church, charity, family or friends. Chances are if you are in this situation then your medical bills may be one of your last concerns as you are probably having problems paying for your other bills. There are other potential ways of paying your medical bills that a qualified Iowa personal injury attorney may be able to help you with. If you would like more information about medical bills in car accident cases here in Iowa then request a copy of our book that we offer at no cost or risk to you. Our book also reveals 7 Secrets to Not Wreck Your Claim. If you need immediate assistance or have more questions feel free to call our office at 641-792-3595 and ask to speak with one of our car accident attorneys. What If the At Fault Driver is Lying About My Car Accident in Iowa? We live in a world where some people would rather avoid responsibility for their actions by lying. If you are on the scene of a car accident in Iowa and someone is lying, you should be sure to get names, addresses and phone numbers of witnesses who can tell the truth about what happened. Also, make sure good pictures are taken of the scene, location of the vehicles, skid marks, etc. If you are not able to do either of these because of your injuries, then call a family member or friend who can do this for you. 3. Consider hiring a private investigator and/or a qualified injury attorney to try to obtain a recorded statement from the other driver. If they are lying, then chances are they will not be able to keep their lies straight and credibility is a big factor in Iowa personal injury cases. 3. Hiring a criminal defense attorney to fight the traffic ticket in court. However, keep in mind that criminal defense attorneys will sometimes say they will do your personal injury car crash case also. No one can do everything well so be careful about hiring a criminal defense attorney for your car accident claim. This is a condensed short list of some things to consider when the other driver is lying about what happened. For more information about Iowa Car Accidents Cases request a copy of our book that we offer at no cost or risk to you. If you would like to discuss your injury matter right away with one of our injury attorneys then call now 641-792-3595 for a no cost car accident evaluation.